Let’s face it: No matter who you are, shopping can be a difficult task to face. But if you’re a woman around or under 5’2”, you have a whole separate set of things to consider as you shop for clothes with a proper fit—especially when you’re looking for jumpsuits. That said, you don’t have to worry; jumpsuits for petites do exist, and they’re pretty cute, too. Here’s what makes it a bit tricky: With other staples, you have to think about the length of the leg and sleeves, but with this one-and-done piece, you also have to think about the length of the torso, as well. Luckily, there are plenty of brands catering to the petite woman, which means you’ll have pieces that will fit you in all the right ways—no tailoring required. Below, you’ll find 17 chic jumpsuits for you to incorporate into your wardrobe that won’t have you feeling like you’re drowning in a sea of fabric. Boilersuits are about to be everywhere. This jumpsuit will be perfect for those more formal occasions. You’ll get so many compliments with this deep-V jumpsuit. A white jumpsuit is so bold. Roll the legs up on this ultra-comfy jumpsuit to the length of your liking. We love the tie detail the waist. 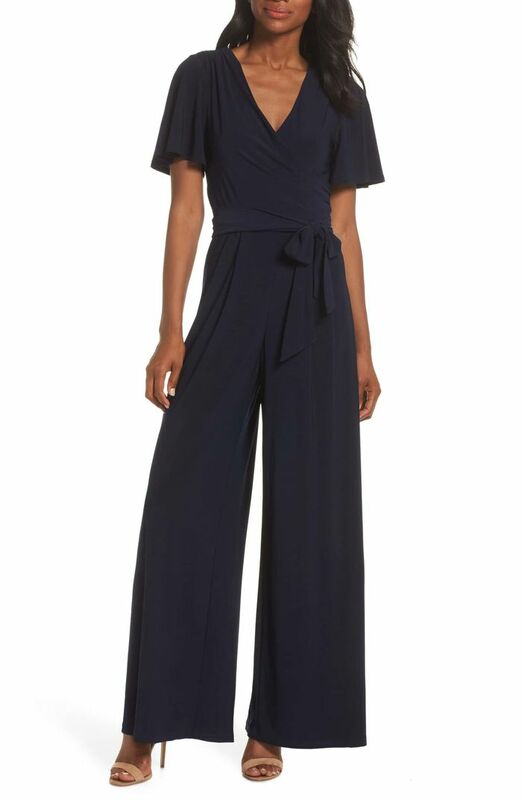 This jumpsuit is perfect for the office (and happy hour afterward). How good is this strapless jumpsuit? These stripes will look good in any season. We can’t get over the knot detail on this. This army-green suit is surprisingly versatile. Layer this cropped jumpsuit over a turtleneck while the weather is still on the colder side. The polka-dot details makes this so much cooler than your standard jumpsuit. Wear this to your next wedding. Dress this up with a pair of heels and your favorite earrings. The pleats on this jumpsuit gives it such a luxe touch it. Up next, add these wardrobe basics for petites to your closet for an update.